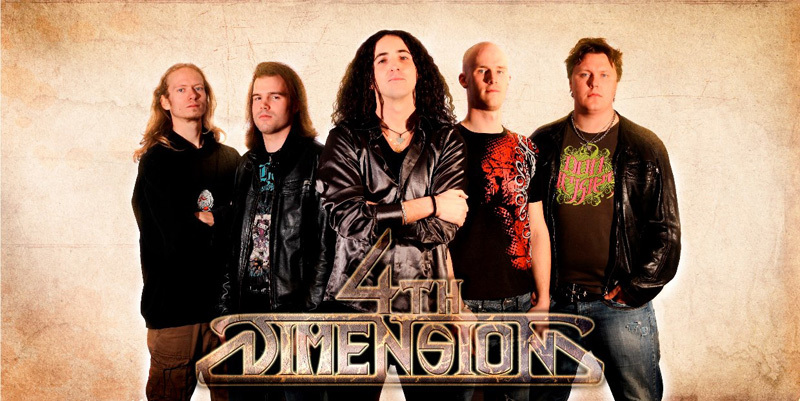 Not coming as a particular surprise, but here's another symphonic power metal band from Italy, Asiago specifically, 4th Dimension. Is that where they make the cheese of the same name? I love that stuff. Wait, I'm getting off point here. Here's their latest, and second album, Dispelling the Veil of Illusions. 4th Dimension: in two dimensions. While it's fair to call 4th Dimension's power metal symphonic, it's certainly not on the level of peers like Rhapsody of Fire. Rather than being bombastic, it's more nuanced sometimes with a genuine classical music feel. You get this within Memoirs of the Abyss, which also has a light folk element in the guitar work. It's one of the best songs here. Other songs capture more traditional melodic power metal, investing the song with galloping speed along side the symphonic notes, like A Circle in the Ice or Kingdom of Thyne Illusions; listen below. But the keyboards of Talete Fusaro aren't merely there to create an orchestral atmosphere. Rather, they're often on point for flair, flourish, and leads, perhaps even more so than the guitar. You get that in most every song, significant in the aforementioned Kingdom of Thyne Illusions, but also in tag team with the guitar in Quantum Leap. It makes sense, really, as Fusaro is one the principal founders of the band along with vocalist Andrea Bicego. And Bicego has an interesting voice, something akin to Geddy Lee, but on a lower register. Finally, and quite interesting, the songs of Dispelling the Veil of Illusions are relatively short, by comparison to other bands and albums. There's not a single one over five minutes, with the average being slightly over four minutes. 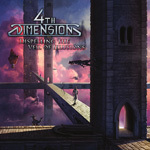 But 4th Dimension packs a lot into those four minutes, making some songs seem longer, in a good way, then they really are, like Memoirs of the Abyss or White Logic. Give them credit for being creative and efficient, rather than bloated and pompous in their compositions. Overall, Dispelling the Veil of Illusions is solid and entertaining melodic and symphonic power metal. And if you like your power metal with a significant, yet well-crafted, keyboard presence, it's definitely up your alley. Recommended. 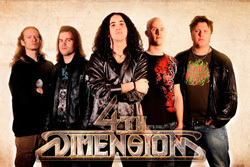 Dispelling the Veil of Illusions is solid and entertaining melodic and symphonic power metal. And if you like your power metal with a significant, yet well-crafted, keyboard presence, it's definitely up your alley.